Are YOU a Facebook Friend?? I am closing in on my 1,000th friend! Will it be YOU?? 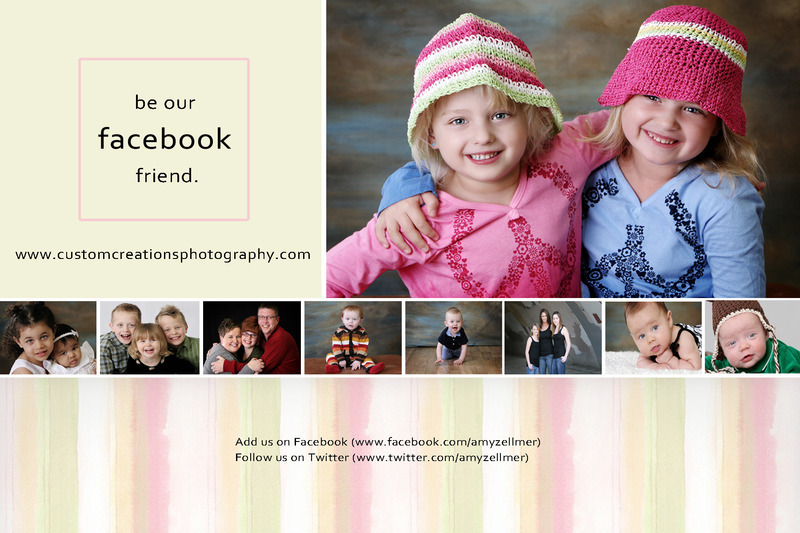 Please add me as a friend if you are on Facebook , and also be sure to be a FAN of Custom Creations Photography while you’re there!! You can also follow me on Twitter to stay in-the-know! We offer Facebook Only specials that you won’t want to miss out on!!! Posted in Uncategorized | Comments Off on Are YOU a Facebook Friend? ?